Johan Cryuff should be a very happy man this week. No, he hasn’t won any award or even been handed a front office position with Barcelona, but his wish of seeing the Barcelona kit without a sponsor might be coming true in the near future. According to reports coming out of Spain, FC Barcelona could be making a move back to a sponsor less kit once their current deal with Qatar Airways expires in 2016. 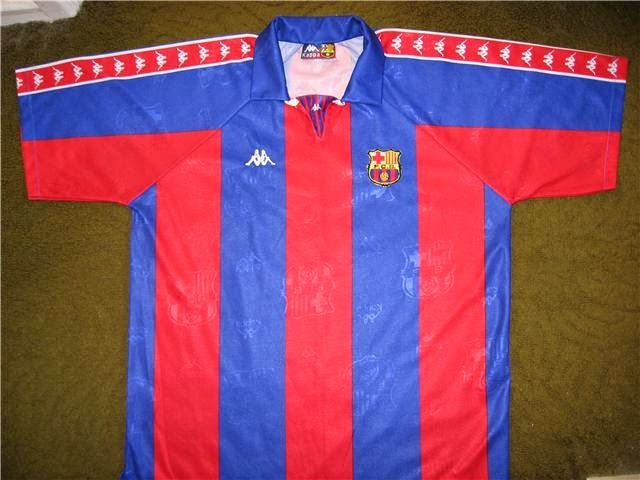 FC Barcelona was one of the last big clubs if no the last to adopt a kit sponsor. Up until the 2007-08 season they didn’t have a kit sponsor and in that season that added a non-commercial sponsor to the front of the jersey, Unicef. 2011, Barcelona added their first commercial sponsor, Qatar Foundation, which eventually moved to Qatar Airways in 2013-14. The deal was worth 150 million euros and was a five year deal signed with Qatar Sports Investment, which started by using Qatar Foundation as the sponsor name and eventually Qatar Airways as I mentioned above. Later this month during the clubs general assembly the discussion will happen and a decision will most likely be made in which direction FC Barcelona will go as far as their kit sponsorship. Nike will have to be notified by September of 2015, so time for a decision may end up being sooner rather than later. 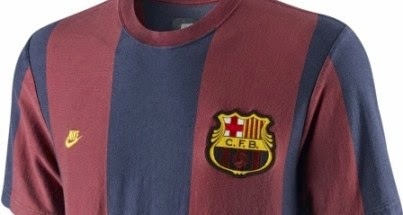 This past summer FC Barcelona signed a smaller partnership with Beko that saw their logo appear on the kit sleeve, and while smaller sponsorships may continue to happen, a move to a traditional sponsor less kit is something most purist and die hard Barcelona fans would gladly welcome.